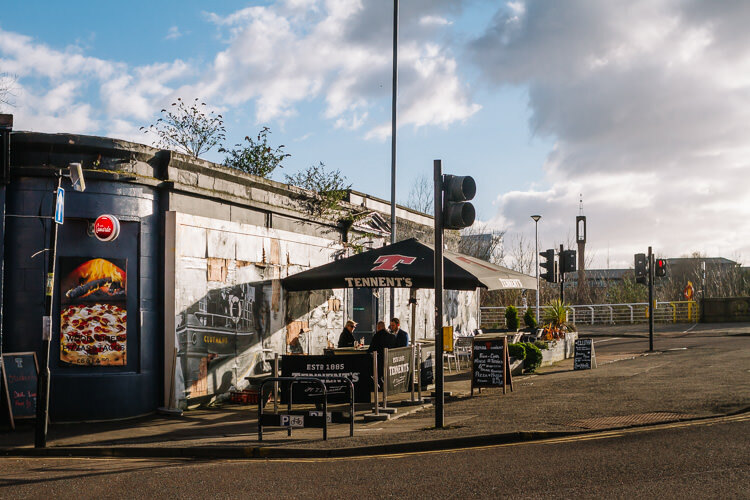 I have a self-imposed commitment to document at least one of the famous street art murals from the famous mural trail every time I come to Glasgow. Last time I enjoyed viewing two Billy Connoly’s installations. 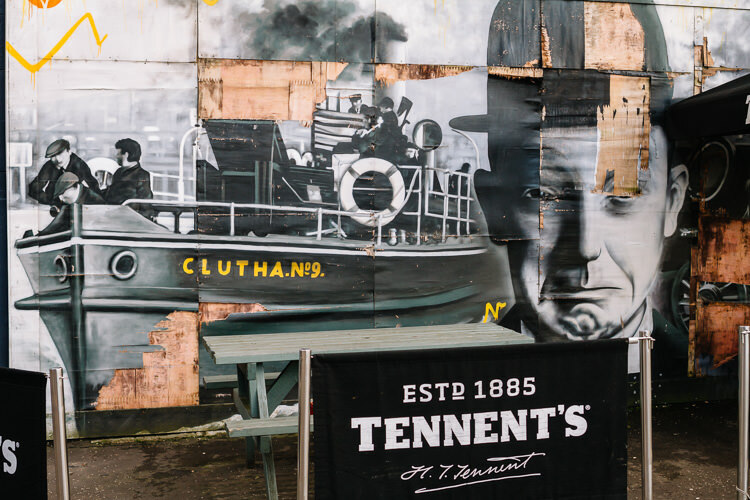 On my next trip I zeroed in on the Clutha Bar murals along the Clydeside (this was before the recent Charles Rennie Mackintosh piece was installed – it took me a while to edit personal work). 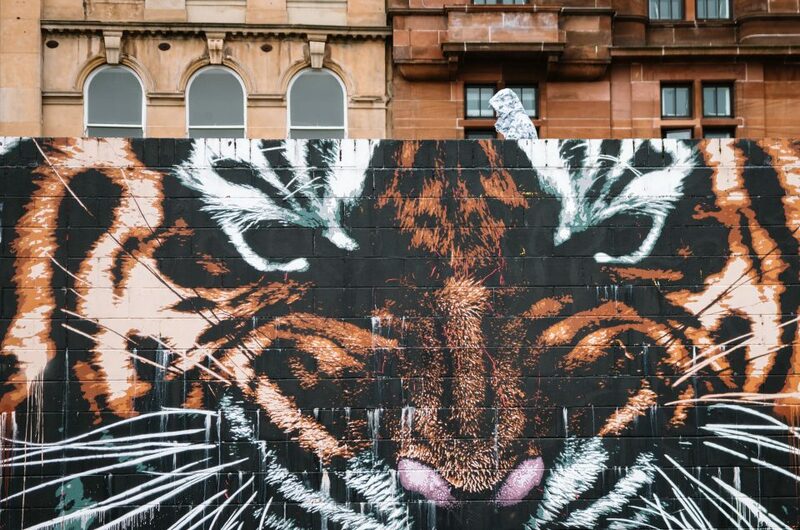 The word “mural” has always somehow invoked a sense of an artwork of, if not permanent, but of a long lasting nature. 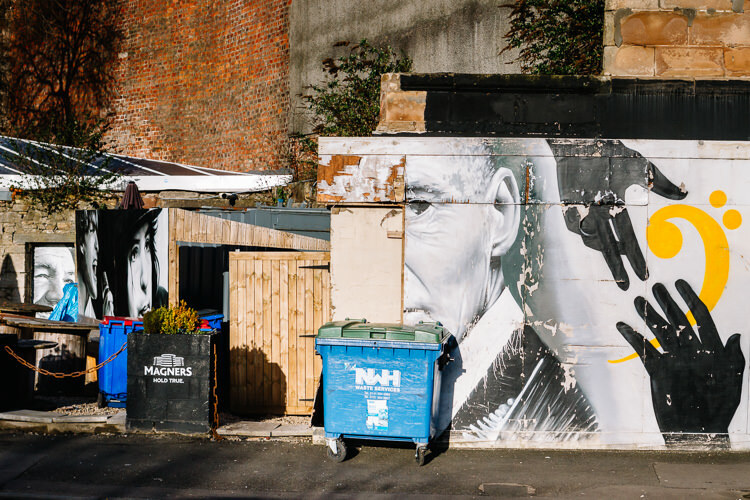 And yet, urban murals are often commissioned to hide facades of abandoned commercial premises temporarily or empty walls exposed after the neighbouring property has been demolished. 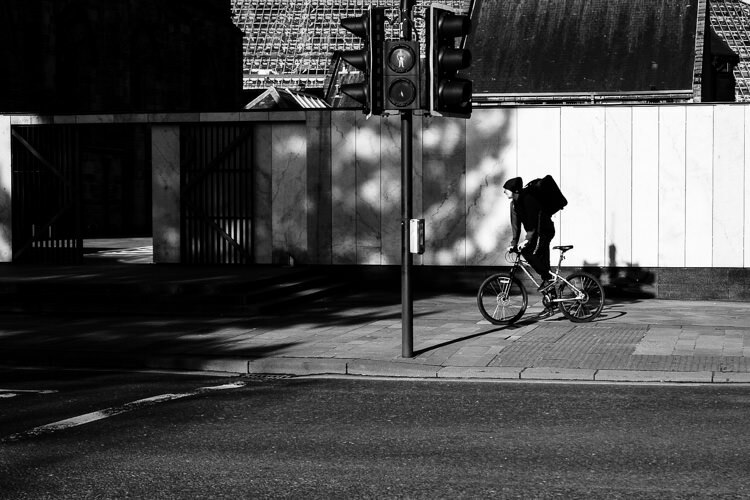 When new shops open or a new structure is built, the graffiti has to go, exposing the transience of street art. 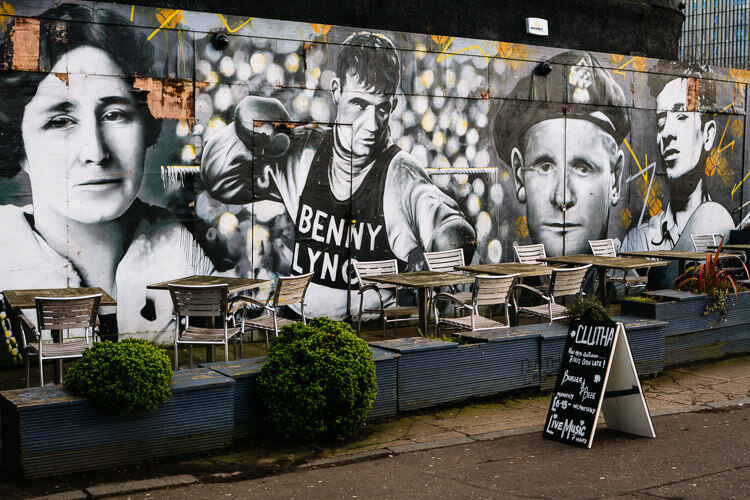 I do not know why, as I photographed Glasgow Clutha Bar mural, its ephemerality made me so uncomfortable. 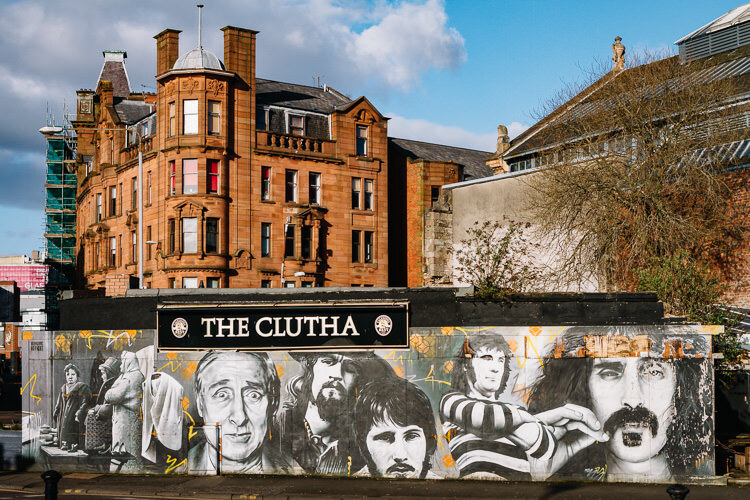 Only three years have passed since Glasgow graffiti artists Bob McNamara (Rogue One) and Danny McDermott (EJEK) “immotalised famous faces” on painting black and white images of celebrities known to have attended the Clutha Bar. The amount of damage incurred in such shot time was shocking. There were multiple scrapes and large abrasions on the painted surface of the much admired mural that exposed the plywood boards underneath. 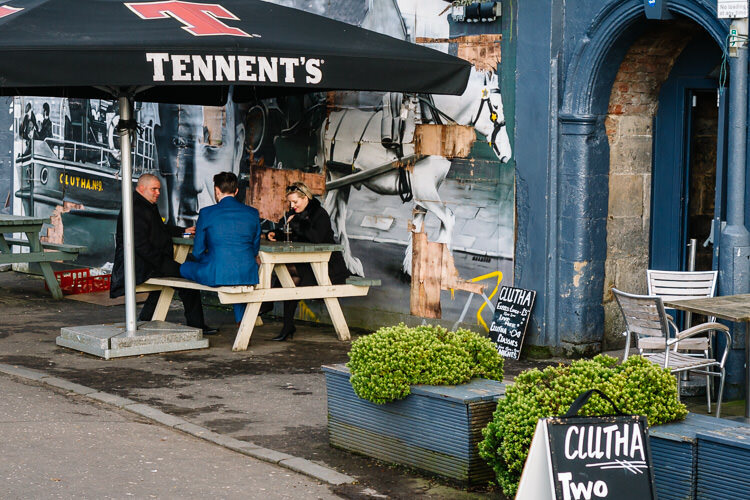 A section of the mural that used to wrap the site had been removed to allow the patrons of the renovated rear garden a view onto the Clydeside. The paint on another section had peeled off and was bleached by the elements. 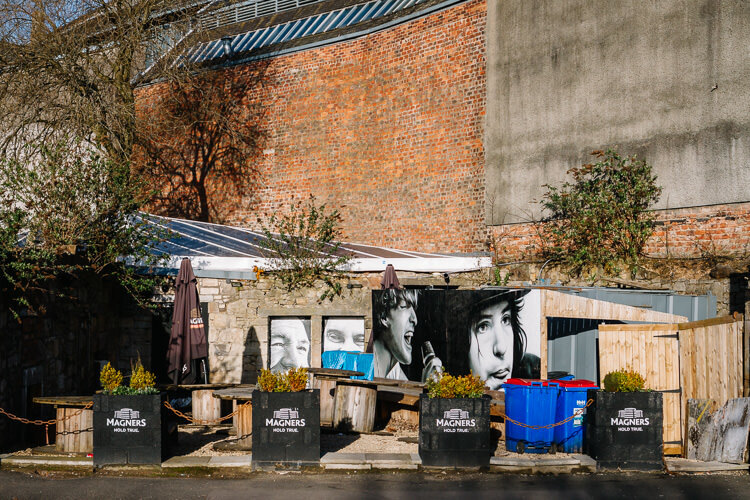 Both accidental and deliberate vandalism was to be expected, I guess, given low quality materials, tipsy patrons, healthy commercial pragmatism overriding aesthetic concerns and the short-lived essence of street art itself. 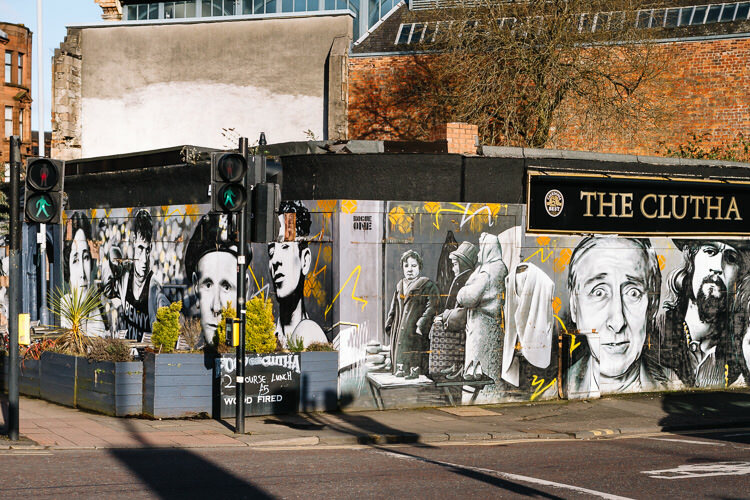 The mural still looked impressive in the afternoon sun and I do not regret hiking to document its fleeting presence and appreciate this piece in situ while it was still there.